The biggest challenge that insurance agencies face is lead generation. Statistics show that 51% of insurance agents and agencies reported that lead generation is the biggest marketing challenge they face. Changing demographics, rapidly changing laws, and technological advancement have made marketing a hard pill to swallow for insurance agencies. According to Insurance Marketing Survey Report, some 70% of insurance agents use social media and referrals as their primary channels for generating new leads. The issue is that only 30% of insurance agents (and/or agencies) use social media to connect and engage with their clients. Lead generation isn’t the only issue, customer engagement and improper use of marketing channels are the real issues that insurance agencies must deal with. 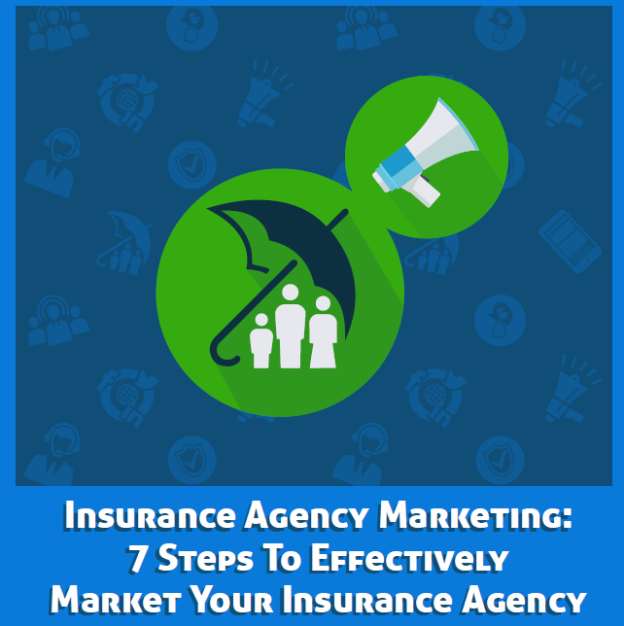 The insurance agency marketing guide will show you actual steps to play your cards right so as to generate quality leads and how to better engage with the clients. Insurance marketing is the term used to denote tactics used by insurance agencies, insurance agents (captive and independent), brokers, banks, and other entities to promote the products to the customers. For example, an insurance agency can use Facebook ads to promote its health insurance plan or it can use guest blogging to generate leads and subscribers. Marketing isn’t without challenges. In fact, no industry is without challenges. The accomplishment is overcoming these challenges. You can’t overcome a marketing challenge without understanding it. Demographics of the insurance buyers are changing at an unimaginable pace. According to PWC, the number of single-parent households has doubled since the 1970s, which has resulted in an enormous increase in women making insurance decisions. According to another report, mothers are the only breadwinner in 40% of households with children. Millennials are the most racially diverse generation in the US. They have different needs. They are more tech-friendly. They have different preferences than Baby Boomers. For instance, most of the millennials are struggling with student debt. Dealing with these demographic changes is the biggest challenge that insurance marketers are facing today. They have to deal with a whole lot of different types of people. The target audience is changing rapidly. The old insurance plans do not work today. For instance, an increase in life expectancy and technological advancements in health sector require insurance agencies to come up with better plans. Insurance marketers, on the other hand, have to adjust their marketing strategy too often based on such changes in insurance plans. It’s like tweaking your marketing plan every year or twice a year because your products are no more valid for your target audience. This makes the life of an insurance marketer nothing but a rollercoaster. Product innovation and uniqueness are the important marketing objectives. It doesn’t make sense to create products similar to your competitors. The more unique value-adding features your product has, the more profitable it will be. Unfortunately, insurance agencies do not have unique products. The margin for creating unique products is very low. The insurance plans, policies, government laws, healthcare sector, etc. remains the same for the entire insurance sector. Though insurance companies take product differentiation and innovation very seriously, but laws and regulations restrict them from creating a fairly unique product. Consequently, insurance marketers struggle to make their company and its products unique and better than their competitors when actually they aren’t. The job of the marketers become tough if they have to generate leads for their agency if it is selling nothing different than most of its competitors. You can’t achieve much without an effective strategy. According to Top Insurance Industry Issues in 2016, one of the biggest challenges that insurance companies face is having an effective marketing strategy that takes advantage of the opportunities and strengthens the business model. This also includes challenges related to market segmentation. The lack of use of artificial intelligence by insurance industries for taking advantage of opportunities is a big challenge. The right use of artificial intelligence can unleash opportunities for insurers in all aspects of their business model but artificial intelligence itself is a broad area that it is not easy to deal with. Therefore, insurance companies in general and their marketing departments in particular struggle to make the best use of artificial intelligence to create and harvest opportunities in the market. This is one reason why most of the insurance products look pretty much the same (as discussed above) because it’s not easy to analyze, monitor, and draw inferences from artificial intelligence that can be applied instantly. The burden is, unfortunately, passed onto the shoulders of the insurance marketers where they find themselves clueless when it comes to creating a marketing strategy that links to the business strategy. For an insurance marketer, generating leads and managing those leads are challenges that are hard to deal with. Initially, generating leads is a challenge when the insurance company is new. Over time, managing leads become a bigger challenge. Imagine you have hundreds and hundreds of leads in your database, you have customer profiles and records, and your marketing team has no clue how to convert idle leads into active leads. Just like you segment your email list based on several variables (buying patterns, engagement, inactivity, etc. ), there is a need for segmenting leads but it is not that simple because insurance companies cannot convert leads by simply pushing a single email. It needs contacts – a lot of them – to convert a lead into a customer. This is what makes the job of an insurance marketer challenging and difficult. Do you have an active presence online? Research shows that 84% of people expect your business to be on Facebook and 95% of millennials expect their favorite brand to have a Facebook page. Your insurance company doesn’t just need a professional website but it has to be everywhere on the internet. This is where insurers, mostly small and mid-sized, struggle. Insurance marketing is still considered more of an offline marketing where face-to-face interaction is a must. This is, however, not true. Imagine your clients finding your insurance company on Facebook, Instagram, and Tumblr and they do not find you. What impression are you giving them? Unfortunately, most of the insurance companies do not prefer spending money on building a strong presence on the internet because this doesn’t help them directly in generating leads. You must understand your target audience and where it looks for you. You know your insurance company’s biggest challenges and you already know you are struggling with marketing, what’s next? Understanding your clients and their needs is the starting point of any marketing strategy. The entire process can be divided into four steps. Creating such detailed client profiles is not simple. You have to conduct surveys, interviews, focus groups, social media interactions, and several other channels to fully understand the needs of your clients, their businesses, and what type of marketing tactics will work for them. Deloitte helped a leading insurance company by understanding its customer needs. They conducted in-depth interviews with executives and customers to understand the needs of the business and its customers. The transformation resulted in $17 million profit in the first year and over $200 million projected profit for the next five years. This is what happens when the business strategy is linked to the customer needs. Creating a professional website isn’t enough. If your insurance website is not professionally designed for mobile and other devices, it will not do the job. Statistics show that 61% of people will leave a website if it doesn’t open on mobile or doesn’t work on mobile. In another study, it was reported that the first impression of 94% website users is design-related while 75% of people reported that they perceive a company more credible if its website is professionally designed. In a separate study, it was found that 33% of US customers access websites from their smartphones, 29% from their desktop, and 26% from tablets. In a nutshell, having a website for your insurance company is a thing of the past. You need a professionally designed website that works on mobile and all internet-enabled devices. A responsive cross-device supportive website is what your insurance company needs. It doesn’t matter how much you spend on marketing if you do not have a mobile-friendly website since this is the primary device that most of your potential customers will use to visit your website. If they see a poorly optimized website with weird content and poorly floating menu, they will leave your website forever. You only get one chance to impress target audience. There are no second chances because a mother interested in buying an insurance plan will move to the next website. She will not wait for your website to load or she will not write you an email to fix your website’s design. Why would she? She has hundreds of options. Fix your website before you spend your first buck on marketing. This is one way to link up with clients. 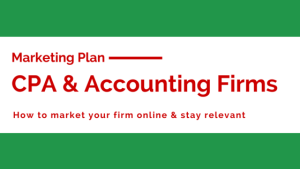 The same strategy can be used for linking with business partners. 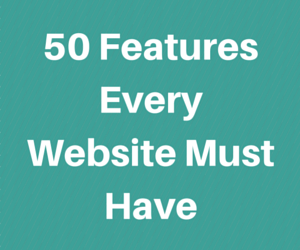 The idea is to make these links visible on your website so that visitors can see them. If you have served a large brand or have partnered with an authority, mentioning its name on your website’s homepage will give a green signal to the visitors and they will be more likely to trust you. See how The Rideshare Guy has used the names of authority websites in the header. Though these are not active links but anyone visiting the website will take a positive impression. On the same note, you can ask your existing clients for brand mentions. Ask them to share their thoughts about your insurance agency. If they are your satisfied customers, they will do it happily. Interact with same-minded people on social networks. Be there when others need you. Are you measuring customer sentiments with social media for your insurance agency? You should do it because it can reveal patterns and information that will help with decision-making, developing better marketing tactics, and doing things that make your customers happy. The following passion index was used for the banking sector to measure the customer sentiments of top 25 US banks. Why not use a similar matrix for your agency. If this looks something complicated, you can create a simple sentiment measurement table in Excel. The idea is to set objectives and track the change in sentiments. What percentage of customers are happy with your services. It requires carefully monitoring the comments, posts, shares, and likes. It is a linguistics analysis where you have to find positive and negative sentiments of the customers. Don’t panic, there are several tools that can be used to automate the entire process. A customer referral program is a game changer for insurance agencies. Businesses that use a referral program report 59% higher lifetime customer value and 69% faster time to close leads. In a survey, it was reported that as much as 92% of people trust referrals from people they know. Creating a customer referral program for your insurance company should be the first step. The best part is that it is not overly complicated. Easy-to-follow. Existing customers know what they have to do, how to do it, and what they will receive in return. You can generate promotional materials and swipe files for your customers. Customers will be able to share your referral program with their friends. Creating a referral program from scratch is easier than you think. See how HAAS Insurance has kept its referral program simple and crisp. It isn’t really hard to create a similar or even a better referral program for your agency, right? Customer service is critical to your insurance agency’s success. According to Gartner, 85% of customer relationships will be done without any interaction of a human being by 2020. This calls for an automation in customer services. Though customers hate it but as businesses grow, they have to seek help from automation. In another report by Gartner, it was reported that as much as 89% of businesses will compete solely on customer experience in a few years. The report was published in 2014 and we can already see the importance of customer experience, services, and engagement. Is your insurance agency prepared to compete? Does your insurance agency has an automation plan for customer services? What is your agency’s policy on customer service and experience? Is it documented, communicated, and shared with the staff? Respond to customer emails, queries, and messages as quickly as possible. The best brands have response time well under an hour. Deliver similar customer services to all the customers irrespective of the business they generate. Manage your first impression as it helps set the right tone. Automate customer services as much as you can so as to reduce the load on customer service agents. FAQs, guides, video tutorials, and PDFs should be used to answer most frequent customer queries. Are your internal customers satisfied and believe in the brand? Are you sure that the salesperson who is busy in generating leads for your insurance company believes in your brand? How could you expect your customers to believe in your brand when you, your staff, and everyone in the company do not trust the brand? The first step is to have strong internal brand engagement and then move for external brand engagement. Making your entire agency believe in the brand is not a piece of cake. It is a challenge in itself. Nevertheless, it is achievable. Integrating your brand’s value in the organization culture and making it a part of the culture will prove to be of great help. There are several reasons why you should promote your insurance agency on social media. Ninety-three percent of marketers use social media for their businesses. Seventy percent of marketers have used Facebook to acquire new customers while 34% have used Twitter for the same. The number of people who are using social networks has increased significantly in the past decade. According to Pew, 65% of adults in the US use at least one social network. When your target audience is on social networks, you should be there too. Every social network has its unique features that make it different from others. For instance, Instagram is for businesses that rely mostly on images while LinkedIn is more suitable for B2B marketing. The best social networks for insurance agencies include Facebook, Twitter, YouTube, LinkedIn, and Instagram. Before you choose a preferred social network, you should understand your target audience and then match them with the social media demographics. If you target audience is on Facebook and Instagram, use them. If your target audience is not on Twitter, there is no need to waste resources on Twitter. Anything ordinary and/or scraped will not work. The content you post on your social accounts should be valuable and something that your target audience prefers sharing. Images receive 94% more views as compared to text-only posts. Make sure your posts are not without images. Ideally, you should see what type of content in the insurance agency goes viral. Use BuzzSumo to see the best performing social posts. Come up with a better post. When you start promoting your insurance agency on social networks, it is vital that you measure the performance and ROI of the campaigns. This helps you with two things. Tweaking campaigns that do not work. Here’s a list of some of the tools that you can use to monitor ROI of social marketing campaigns. We have already discussed the importance of having a professional, well-designed, and mobile-friendly website for your insurance agency. But simply creating an awesome website will not do the trick. Marketing the website will generate traffic and leads. If you do not know how to start promoting your website, the following tips will help you get started. Optimize your website for search engines. Ensure that your website follows on-page SEO best practices. 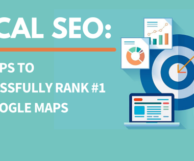 Optimizing your website for search engines will improve its search engine ranking, which will result in getting organic traffic from search engines. List your website in local business directories such as Yelp and Yellow Pages. A quick Google search will return several business directories and insurance agency directories. Submit your website on most of these directories. Write high quality posts and submit them as guest posts on authority blogs. The guide on guest posting by Brian Dean is a must read. Guest posts are best for brand awareness, generating backlinks, getting instant traffic, and establishing authority. A single guest post can send thousands of visitors in no time to your agency site. Silvio Porcellana, for example, used guest blogging to increase search traffic to his website by 20%. How many emails you send every day? Ten, twenty, fifty, or hundred? Whatever the number is, you should use your website in the signatures of every email that you send. Using a free browser extension will let you create professional signatures with photo, website, social accounts, and other details. Find insurance-related forums and top blogs. Carefully choose 10 to 20 top insurance blogs and forums. Start engaging with them by commenting, posting, and sharing. This has to be done every single day. There are two benefits of engaging on blogs and forums. First, you establish yourself as an authority because the idea is to add value by helping the readers. Second, you will promote your brand and website. Create an account on Quora. Update your profile and choose your interest. Start answering questions on insurance. Quora alone can send thousands of visitors your way every single day. It is the best free source for traffic generation. Build relationships with influencers, business partners, and fellow insurance agencies. Use Twitter, Facebook, blog comments, and other tools to actively participate in the discussion. These relationships are extremely helpful in promoting your website, for brand awareness, and for generating business partnership opportunities. So you are promoting your website actively and you are using social media for brand awareness, is this all you need? No, there is still a lot more you have to do to get clients for your insurance agency. a). Clean up your email database: Inaccurate data has numerous side effects ranging from poor delivery rate to wastage of resources to getting flagged by the email service provider. Removing idle and unresponsive subscribers from your email database should be done periodically. It is better to remove inactive subscribers than keeping them in the database and wasting resources on them. After you have cleaned your email database, you will experience better deliverability, reduced bounce rate, reduction in spam reports, better engagement, an increase in open rate and CTR, and a significant decrease in cost and email marketing expenses. b). Run PPC campaigns: Running a PPC campaign on AdWords, Facebook, Twitter, Bing, or on any other ad network is considered one of the best ways to get more clients for your insurance agency. Buffer did a case study on what $5 boosting Facebook post campaign will yield. For mere $5, 750 post views were received with an average one click on their landing page. Isn’t it a cheap way to promote your insurance agency? The chart below shows average industry costs for Facebook ads. Initially, you should begin your ad campaign from Facebook and/or Bing because these are relatively affordable ad networks as compared to AdWords. But not running your campaign on AdWords means you are not reaching your entire audience because Google is the most used search engine with 64% market share. The trend for AdWords has increased in the past decade while the trend for PPC has decreased. This shows how powerful AdWords is as compared to other PPC ad networks. A PPC ad campaign will start sending traffic to your landing page instantly which means your will start getting clients for your agency in no time. c). Use video marketing: An average internet user is exposed to 32.3 videos a month while 92% of mobile users have shared a video with their friends. Videos undoubtedly convert better than any other type of content. According to Adelie Studios, social videos generate 1200% more shares as compared to text and images combined. Start creating videos for your insurance agency. Here are a few ideas to use videos for your agency. Start a YouTube channel for your insurance agency. Use videos to introduce your agency and its products. Run video ads on YouTube and social networks. Create whiteboard videos that are fun and engaging to better engage with the viewers. d). Monitor online reviews: Over 79% of people ask their friends for referrals when choosing an insurance plan. Do you monitor reviews that your customers post on the internet? Most probably not. Some 70% of insurance agents have reported that they overlook online reviews. If you will continue to ignore review sites, forums, and all the reviews published off your agency website, you will lose customers. More than 50% of insurance agents and companies have reported that they receive as high as 60% of new clients from referrals including customer reviews. Your customers will keep posting both good and bad reviews on the internet whether you respond them or not. Your insurance agency will keep paying the cost. Stop ignoring these reviews especially the bad reviews as they carry more weight than positive review. e). Focus on mobile: No matter what you do, do not ignore mobile. Your agency should have a clear strategy for mobile. Over 60% of online traffic is attributed to mobile devices. Some 66% of emails are opened on a smartphone. Facebook has 1.09 billion mobile daily users as of September 2016. As already pointed, a mobile-friendly website will not help much rather a rigorous mobile focus strategy is needed. Perhaps a shift to mobile marketing would be a better choice. When Airline KLM ran its first mobile campaign, it saw a massive increase of 17% to its mobile website pushing mobile revenue by 38%. Your agency’s overall marketing strategy should have a strong focus on mobile so that you do not miss targeting the major chunk of your target audience. f). Use email marketing to engage with your clients: Email marketing shouldn’t be used for marketing instead it should be used for building a lasting relationship with the subscribers. Some 78% of people believe that businesses that offer custom content wish to build a good relationship with them. Your email campaign should offer highly customized content and offers to the subscribers. This can only be achieved if you have cleaned your email list and have segmented it. For example, if a subscriber is not interested in auto insurance and has never responded to an auto insurance email, there is no need to send him anything related to auto insurance. If he responds to emails on health insurance, only send him health insurance related emails. Customized content that is what exactly your subscribers love will make them feel better, and they will stick to your agency. Do not forget to reward your loyal customers. Sending them discount coupons, special offers, and giving access to exclusive bonuses and products will give them a reason to stay longer with your agency. If their loyalty isn’t rewarded, they will switch. g). Develop a content marketing strategy: Creating engaging content is the top priority of the digital marketers and businesses. Content is much appreciated as compared to ads that are often blocked by the users. Over 200 million people are using ad-blocking software, which is a clear indication that ads are not something that people love to see. They want to see content – and nothing else. The Murray Group Insurance Services used content marketing to generate clients and revenue in as low as 100 days. The agency initiated a video content marketing campaign for its YouTube channel which was aimed at answering 100 insurance questions in 100 days. One video was posted a day on the channel for 100 days and the results were phenomenal. “If you look at the Google Analytics chart, it’s ridiculous. In that time period we went from 70 hits a week to over 500 a week. And just in those 100 days, I can attribute over five thousand dollars of revenue to people who said they were calling in because of the campaign. Since that time, it’s tens of thousands of dollars. Can you come up with a similar content marketing strategy for your insurance agency? Follow the steps below to create a strategy today. Choose the right content channels and types based on the target audience preferences and needs. Use content on multiple channels. Get the maximum mileage from every post. Track, analyze, and measure ROI. h). Use retargeting: Retargeting or remarketing is a marketing technique that targets the bounced traffic. People who have visited your agency website and have not interacted or subscribed are retargeted by ads. Statistics show that only 2% of web traffic converts on the first visit. Remaining 98% has to be reminded with a retargeting campaign if you wish it to convert. This is the easiest way to get new clients for your insurance agency. Though it is expensive but it is sure to yield results at a phenomenal rate. Retargeting ads increase branded search by 1046%. Retargeting increases CTA by 147%. Some 70% of visitors are expected to convert after a retargeting campaign. The retargeting guide by PPC Mode is the best resource for getting started. 9. Ask for testimonials from happy clients: We already talked about online reviews of your insurance agency. They are important. What’s more important are customer testimonials published on the agency site. Statistics show that 63% of consumers are more likely to buy from a website that has user reviews. These reviews increase sales by 18%. Here’s the deal: Ask your customers for a review preferably a video review. Post all such reviews on the agency website. Here is an example from ChowNow that has posted lots of customer reviews on the website. These reviews help new visitors in decision-making, they build trust, and increases conversion rate. 10. Ask for links: Don’t hesitate to ask for links from brands, websites, and partners. Google allows you to earn quality links from other websites. These links will improve search engine ranking of your website and you will receive more traffic from search engines. Brian Dean uses a technique known as Skyscraper Technique to create awesome shareable content and then reaching out to people who are interested in the piece and ask for a link. He used the same technique to increase search traffic by 110% in just 14 days. If you have something worth sharing, reaching out to the right people will help you increase organic traffic, and acquire new clients to your insurance agency.